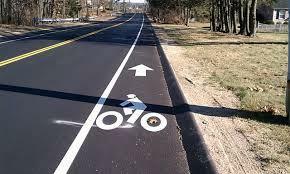 A marked lane for bicycle traffic on Plumtree Road in Springfield, Massachusetts. Listen to the interview with Jackie DeWolfe, Director of Sustainable Mobility for MassDOT. The Massachusetts Department of Transportation has drafted a bicycle transportation plan and is asking for public comment on it. Rather than just making accommodations for cyclists, the plan aims to treat the bike the same as other modes of transportation. It suggests projects to connect existing bike routes across the state and improve safety. WAMC’s Pioneer Valley Bureau Chief Paul Tuthill spoke with Jackie DeWolfe, the Director of Sustainable Mobility for MassDOT. A proposed 25 percent fare hike and service cutbacks at the largest regional transit authority in western Massachusetts is drawing attention from city councilors in Springfield and the leaders of area colleges. Safety improvements will be made at a hazardous railroad crossing in western Massachusetts. The family of a man who was killed in 2017 campaigned to assure his death at the site would be the last. Listen to the interview with Greg Sullivan. A government watchdog group said a decade-old effort in Massachusetts to increase the use of civilian flaggers at road construction sites has not saved much money.